Journey to mountainous Wakayama to experience Mt. Koya, a UNESCO World Heritage Site and the center of Shingon Buddhism. Located amidst forested peaks and with over one hundred temple complexes, Mt. Koya possesses an aura of serene spirituality. 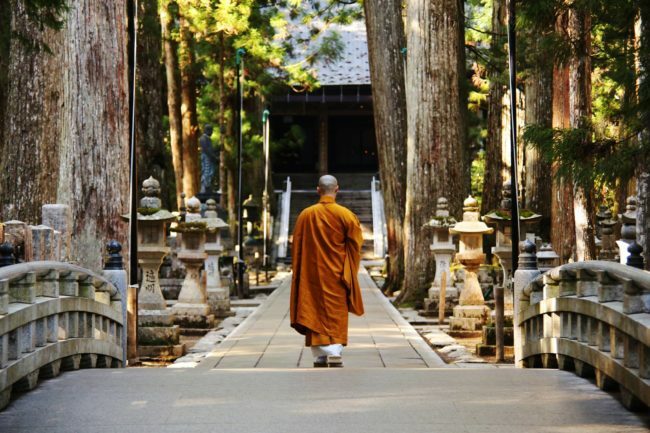 Experience the mysticism of Okunoin, a centuries-old cemetery with over 200,000 graves lying among towering Japanese cedar trees and the resting place of Kobo Daishi, the founder of Shingon Buddhism. Explore Kongobu-ji Temple with its magnificent Banryutei Rock Garden, the largest rock garden in Japan, and visit the Reiho-kan Museum which houses Mt. Koya’s greatest artistic treasures. Rise with the birds for morning prayers with the temple’s Buddhist monks. You may choose to spend the remainder of the morning or day hiking in and around Mt. Koya which offers a variety of trails that may be enjoyed from an hour to a full day. A visit to Mt. Koya will be cherished for a lifetime. Staying on Mt. Koya is a wonderful way to experience Buddhist life in Japan. Spend the night at a shukubo or Buddhist temple lodging where you will enjoy a traditional shojin-ryori or Buddhist vegetarian dinner. Souji-in Temple in Mt. 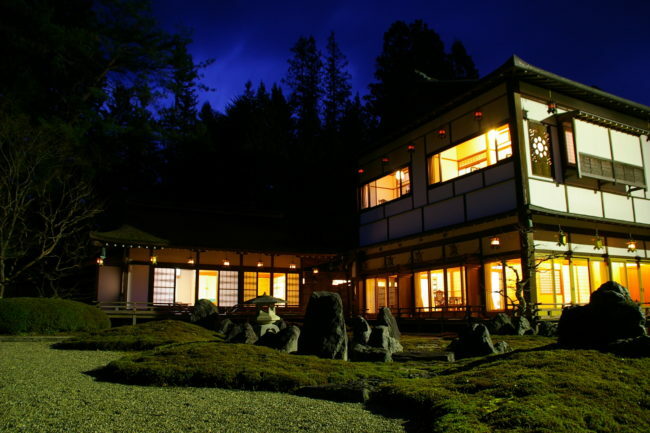 Koya is a Buddhist pilgrimage temple that offers upscale lodging within the temple complex. You will enjoy Souji-in’s tranquil setting and beautiful tatami rooms facing a lovely Japanese garden. You are also invited to participate in morning prayers which typically start around 6:00am and last for approximately thirty minutes. Your stay at Souji-in will be unforgettable.